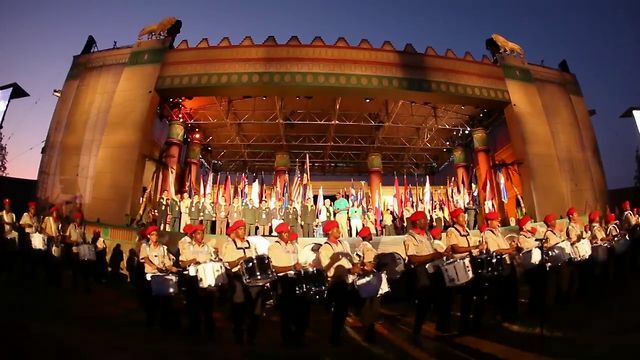 BERRIEN SPRINGS, Mich. --- For the first time in the event's history, the International Pathfinder Camporee held in Oshkosh, Wisconsin has been canceled over a supplies issue. Plans for the event scheduled for this summer, ground to a halt after negotiations with the camp ground's food vendors collapsed over the cost of tortilla chips. "We are sad to report that due to the inflated costs of chips charged by our vendors, we cannot afford to serve haystacks at Oshkosh and are therefore calling the whole thing off," said event organizer, Bucky Dempsey. Dempsey's Andrews University-based Center for Youth Evangelism released a longer statement apologizing for getting everyone's hopes up over Camporee this year and guaranteed that "All camporee registrations already paid will automatically be applied to the next Oshkosh Camporee." The CYE statement promised that organizers would be relentless in their search for more affordable tortilla chip contracts. "We realize that this is greatly disappointing news to our Pathfinders around the world," said Dempsey. "It was tempting to continue with the event without haystacks but we have decided that the threat such a change would pose to our identity as Adventists simply could not be overlooked." That is FUNNY, but you also do not understand Camporees – – they only happen ONCE every five years – – not every year. LOL! I guess you don’t understand. My Conference has a Camporee every year. Guess you only go and know the INTERNATIONAL Camporee, get your act together and find out before leaving your comments. Whazzup wit yo peeps. I already invested a thousand bucks into this camporee. Had to buy a new tent, new sleeping bags, new Camporee t-shirts, new sneakers, new fancy shorts, new duffle bag, bus fare from NY to Wis., reg fees, pins for trading, loss of income from my landscaping business for 7 days, food @ $10.00 per meal for 6 days($180.00). My lawyer will contact your lawyer and negotiate this on Judge Judy. No more comment. Woe is me! One suggestion-combine the GC & Camporee in 2015 for one big Texas size shebang. Give an Honor for the most meetings attended by a delegate. An Honor for the delegate who spends the most $$$$. An Honor for the delegate who misses the most meetings. Another Honor for anyone who goes on the most water rides at 6Flags. etc.;etc.;etc. Whaddy you think? Only our GC leadership thinks it’s a good idea to spend a week in South Texas in the summer. The Pathfinder leaders know that summer in Wisconsin is a whole lot more bearable than Texas, especially when you have to sleep in tents. Oh, that’s right, the GC guys get the hotels…with air conditioning. And meals made in a cafeteria. And flush toilets. And showers. Hmmm. Come to think of it, the GC sessions might be a whole lot cheaper and shorter if they followed the Pathfinder model. I live in Texas and the weather is crazy. One minute its 100 degrees, and next thing you know it 25 degrees! This cant be for real. Must be a bad joke. Seriously…..cancelling over chips? Hahaha! Love this one! Adventists and our haystacks…stay out of the way! Quick, there’s a kid with five chips, bring him here. Yay, mission accomplished, continue on to Oshkosh. Remember to bring your own salsa. Five chips and two beans. Bud Racine, you have saved the day. Adding on 2 kidney beans over here. Boarding pass in hand. At our camporees the club is responsible for their club’s food. I am sure they can get corn chips somewhere else. I don’t know which is more fun. Reading the comments from folks who don’t realize this is satire, or reading serious responses to satirical comments. Methinks we Adventists are about 50/50 on understanding humor. One question: Did they even consider Fritos?!? My gosh! I understand the importance of haystacks to an event like this, and I believe that Fritos are more than a solid substitute for tortilla chips. In fact, while tortilla chips may make a more authentic taco salad, I’d say for an authentic Adventist haystack, Fritos just may have the edge.